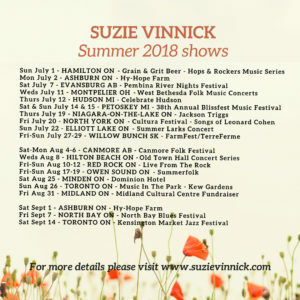 Suzie Vinnick | » Summer 2018 shows! Monday, June 25th, 2018, News. "SHAKE THE LOVE AROUND" officially released!